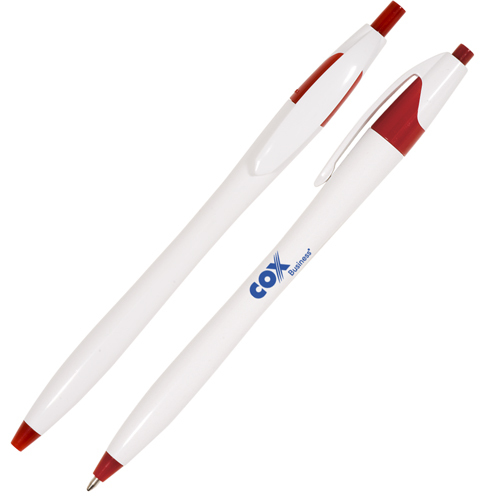 A great give-away for promotions on a budget! 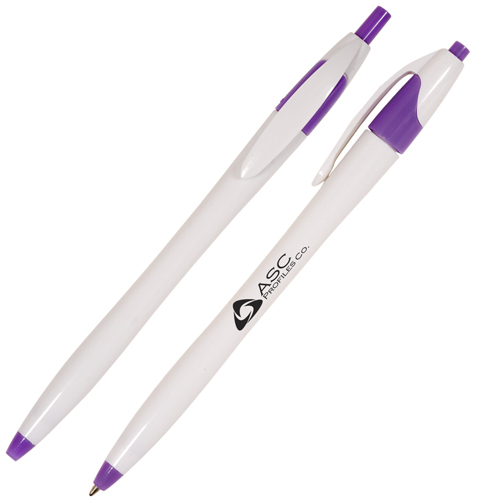 A plastic-body pen with click-action ball point. 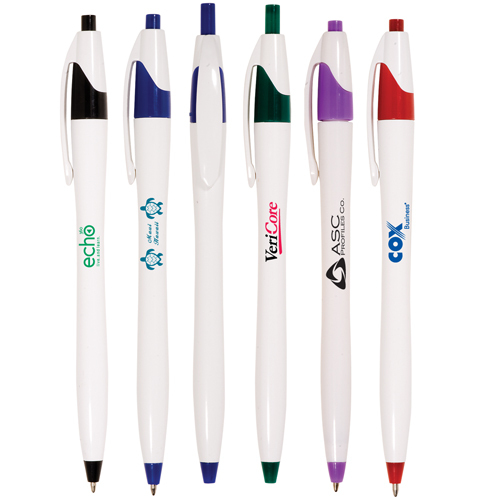 Ink Color: Black, medium point.Trim Colors: Black, Blue, Green, Purple and Red. 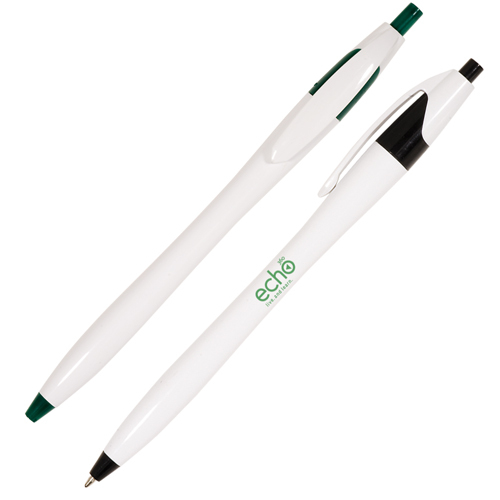 Ditch the lollipops and fill your reception desk giveaway jar with something that advances your advertising goals! 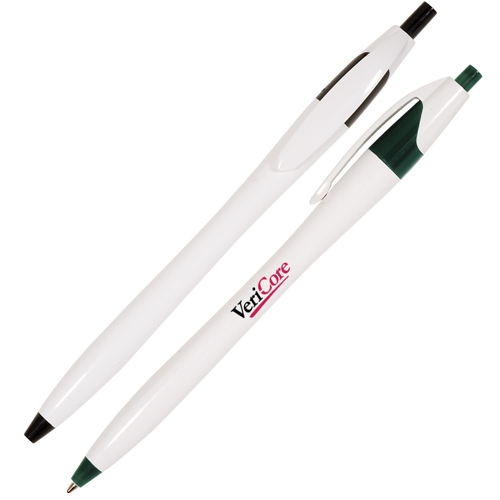 This Slim Contour Writer offers a no-fuss design with your choice of accents colors along with a plunger action mechanism that reveals a medium point ballpoint black ink tip. 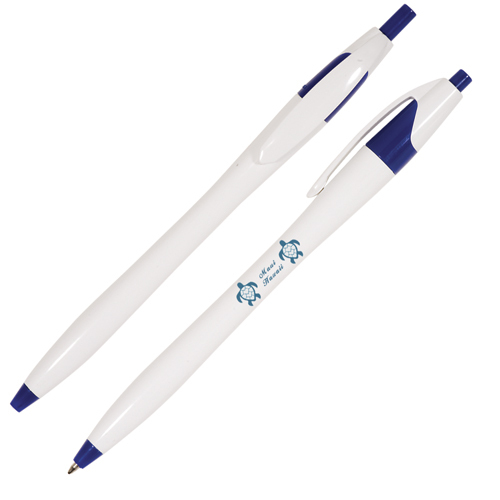 Add your brand to the pen's barrel and send it on its way to with clients, customers and colleagues. And, with a lifetime guarantee and QCA certified supplier, you can rest easy knowing you're getting uncompromising excellence with us. Order now! Bulk / 39 lbs / 750 pcs. / 8x16x12box.